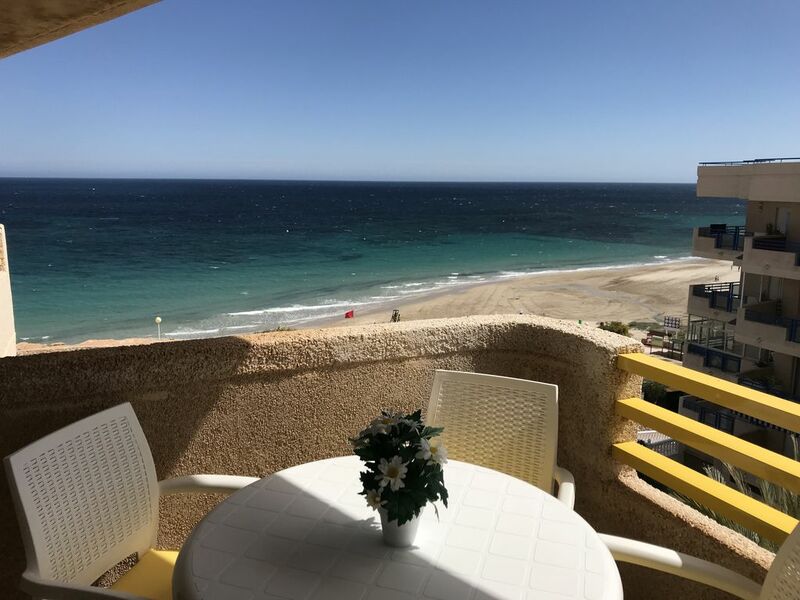 Apartment three minutes walk from the beach of Mil Palmeras. It consists of a family bed and a sofa bed for two people plus a terrace overlooking the sea front. The apartment has bed linen and shower towels. The tenants have full access to the pool and free wifi. In the surroundings there are tennis and golf courts, several restaurants and chiringuitos where you can fully enjoy the holidays. Bijoux apartment with lovely view of the sea. Easy to find and 40 minutes South of Alicante, well positioned for exploring the area due to access to main roads. Good communication with the owner before and after arrival. We had a great time and would recommend. Thank you for your comment Andy, I m really glad you liked the apartment. You were really nice guest, you are completely welcome to come back when you like.